Throw on some fishnet stockings, buckle your shoes, grab your hat and musket. It's turkey killin' day! Happy thanksgiving to you all and your families!!! Enjoy the day with food and some beer if you like to drink!!! woot woot!! Hope everyone has a wonderful day with the family. These photochop on this page are killin' it. Happy Thanksgiving everyone! Load like that turkey is giving birth Rodney. Disturbing. Lol it does "LOAD" like it is huh? You improper english typing mother hugger!! 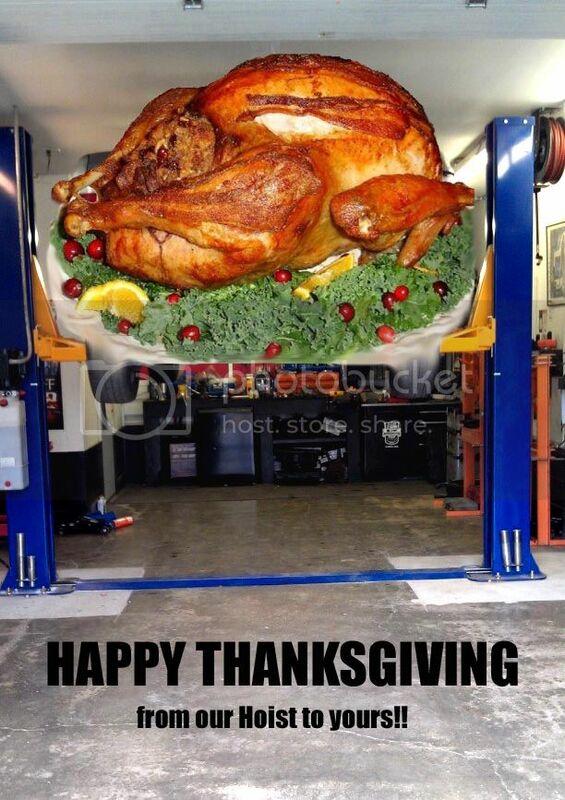 That turkey has 4 wheels. Zoom zoom, bitchezzzzzz!!! This pic went around a lot too!! Hope you guys and families enjoy your day.....looking forward to some great holidays and next year as well.